Santa Rosa, CA, SEP 25, 2013 – Sonoma, CA, hosted its annual week long art event in celebration of the Plein Air outdoor painting technique with several artists participating, culminating in an exhibition to raise money for arts education programs for the children enrolled in local Sonoma County area schools. The event, Sonoma Plein Air, regularly draws nationally recognized plein air artists who compete for recognition judged by a jury of their peers. This year was no exception when it came to artistic talent and this year's participants offered exceptional pieces in the plein air style. When it came to winning, the jury agreed with the most votes to award the grand prize 'Artist's Choice Award' to Festival newcomer, Sergio Lopez. For those unfamiliar with the term 'Plein Air', it is French and describes outdoor painting on location, capturing a scene in the open air using the effects of natural light. This makes the painting experience for the artist sometimes frenetic as they may only have that natural light moment for a certain amount of time in the chosen location. If they do not finish, then they will have to be at the same spot at the same time for as many days in a row as it takes to finish to their satisfaction. Lopez, a Sonoma County, CA native, is honored to be a participant in and win the event. 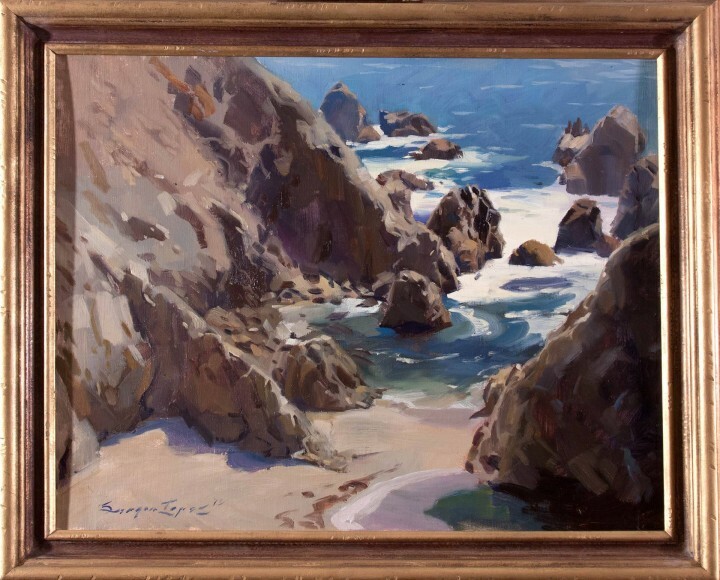 Lopez's painting, a "Rare Day In Bodega Bay," is a 16x20” oil on linen board painting. The artist has an artistic philosophy that the best way to discover the truth and essence of a scene is by standing before it and studying it carefully. He began entering Plein Air events in 2010 and has since won the following awards: the Epperson Gallery’s Valona Paint Out best of show award two years in a row, 3 awards in the 2010 Paint San Clemente Festival, 2nd place Artist Choice Award for Telluride Plein Air 2013, and he has won Honorable Mention in the Alameda Plein Air event two years in a row. The first of Sergio paintings have arrived. They will be framed and hanging very soon. Enjoy! 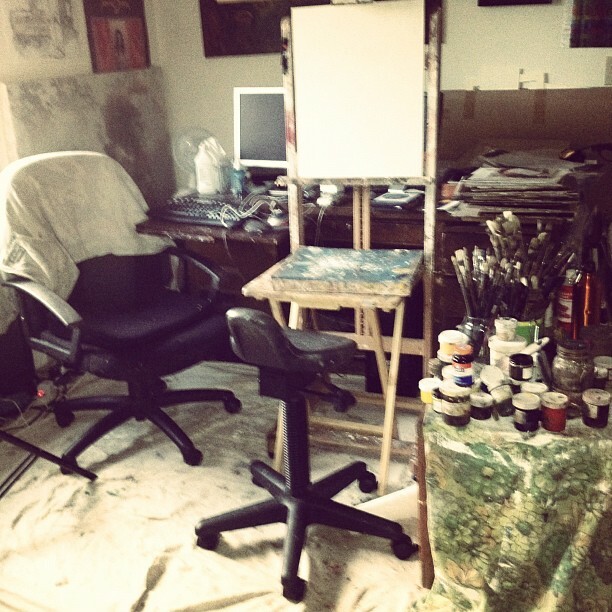 Here's a look into Sergio Lopez's studio. Enjoy!